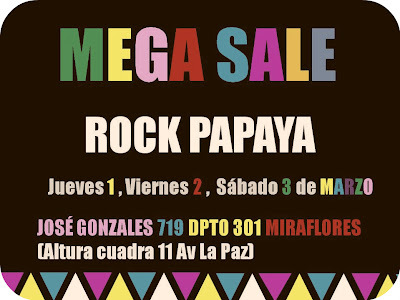 En estas fotos les quiero mostrar más que nada esta falda de Rock Papaya que me parece buenaza ya que si quieres la usas como falda o si quieres como mini vestido sobre un short o falda. Me encantan esas prendas que puedes aprovechar de muchas maneras, yo decidí usarla sobre un vestido de cuero así también lo uso como top y como falda! Les gustó? Hey how is your begining of the week? We are just ending February and carnivals are gonna be over. My stadistics are zero water balloons and zero paint…mmm i had some boring carnivals haha…hope you did have fun! Here in the pics i’m wearing this skirt from Rock Papaya that i think it’s great cause you can wear it as a skirt and as a mini dress. Love those pieces that you can wear in different ways, i wore it over a leather dress! Like it? 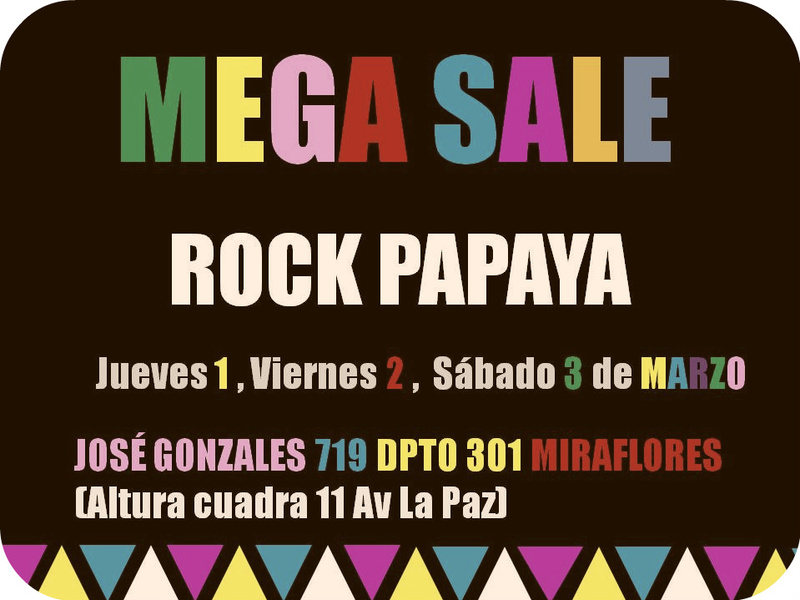 Ah y no se olviden que desde este jueves habrá un MEGA SALE de Rock Papaya con muchos muchos descuentos! Wow, looks amamzing! what a beautiful photos! Me encantaa! La falda es preciosa! you look great! wow! I love your shoes! love both versions, you’re innovative as always :)! Ame como se ve en la primera foto!! Looove! That is ridiculously cute! I love such versatile pieces! You look gorgoeus in both outfits! The skirt is so beautiful! stop by my blog if u get a second dear!! I love it when pieces are so versatile! Love it as a skirt and especially with the bustier you’re wearing!! Me encantó el outfit! Está genial! Thank you for inspiring me to modify a very old (15 years min, sleeping in my wardrobe) blouse with your pictures and the sentence “the scissors your friend”. 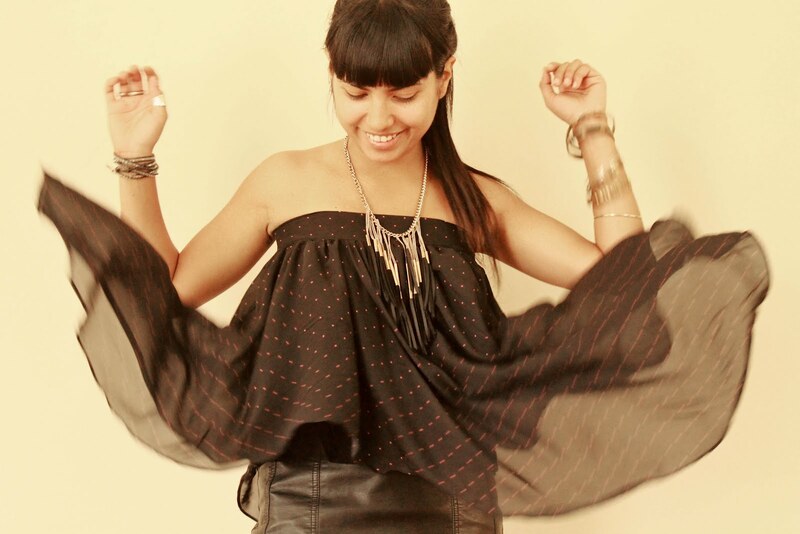 its awesome when you wearing it as a mini dress or as a skirt!! que lindo de que marca es el vestido de cuero?? ?